« DARK HORSE ANNOUNCES AN ORIGINAL GRAPHIC NOVEL: MONSTERS! & OTHER STORIES BY GUSTAVO DUARTE! This November, comics superstar and best selling writer Rick Remender (Uncanny Avengers, Captain America) returns to Image Comics with artist Matteo Scalera (Indestructible Hulk, Secret Avengers) and colorist Dean White (Uncanny X-Force) alongside him for BLACK SCIENCE #1, the thrilling beginning of an ongoing series about dimension-hopping scientists and their attempts to escape from the worst kind of chaos. Grant McKay, former member of The Anarchistic Order of Scientists, deciphered Black Science and punched through the barriers of reality. 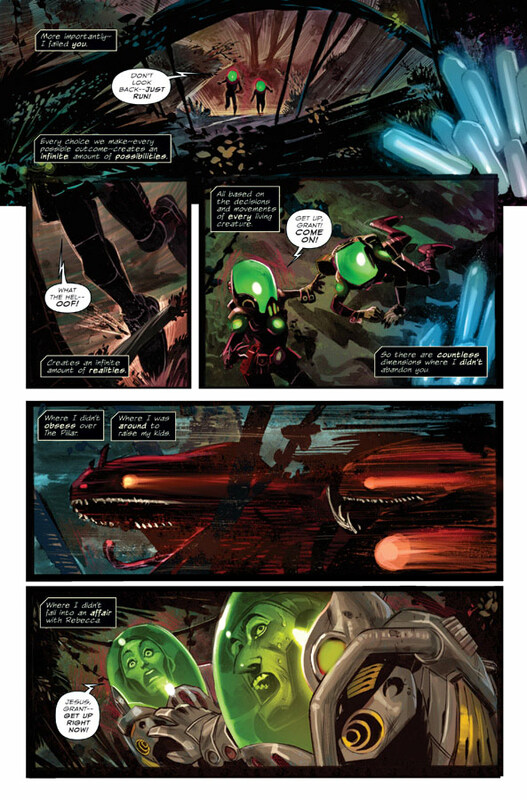 But every experiment has its unintended consequences, and instead of finding enlightenment and epiphany, McKay and his team find nothing but chaos as they are lost in an infinite ocean of alien worlds teeming with the unimaginable. Home is suddenly very far away, but McKay and crew have no choice—they must push forward. 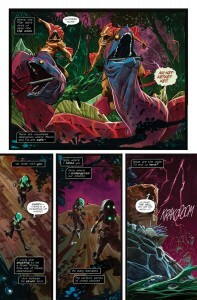 BLACK SCIENCE was announced at the Image Expo in San Francisco this July, complete with a four-page preview. 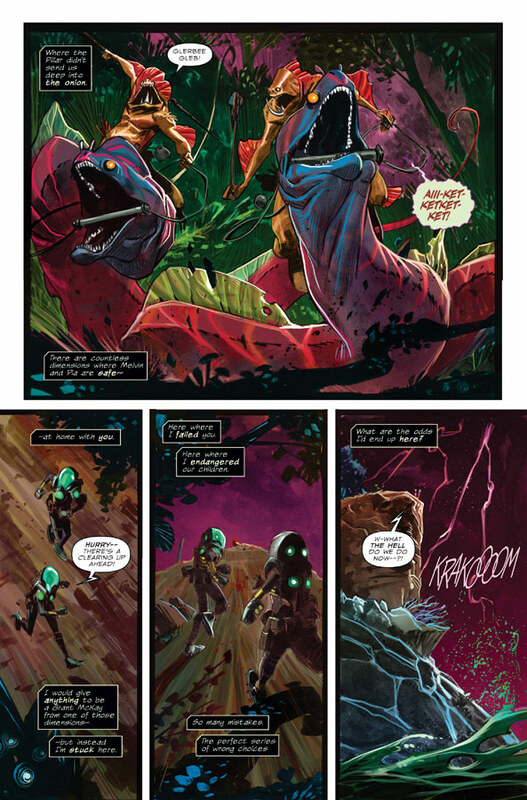 Recently, iFanboy debuted the solicitation for the first issue of the series, as well as a selection of exclusive production and concept art from Scalera. 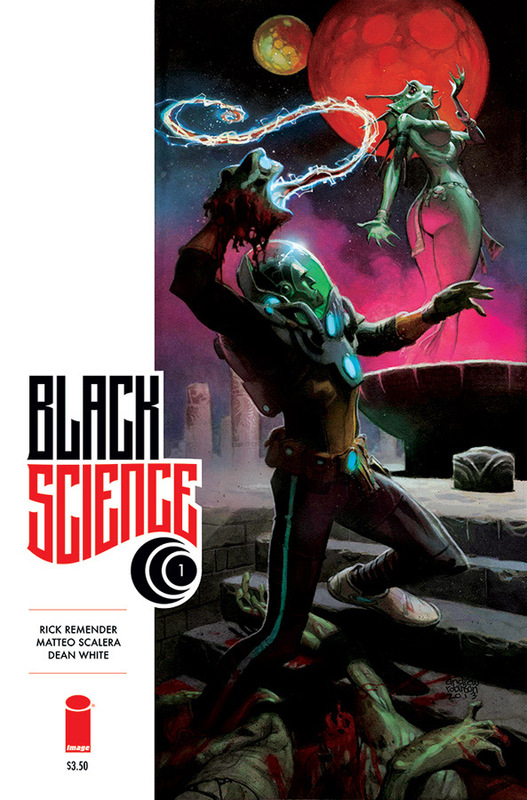 BLACK SCIENCE #1 will be in stores on November 27, featuring a cover by Matteo Scalera and Dean White and an alternate cover by Andrew Robinson, and is currently available to pre-order from the July issue of Previews (Diamond Codes SEP130471 and SEP130472).